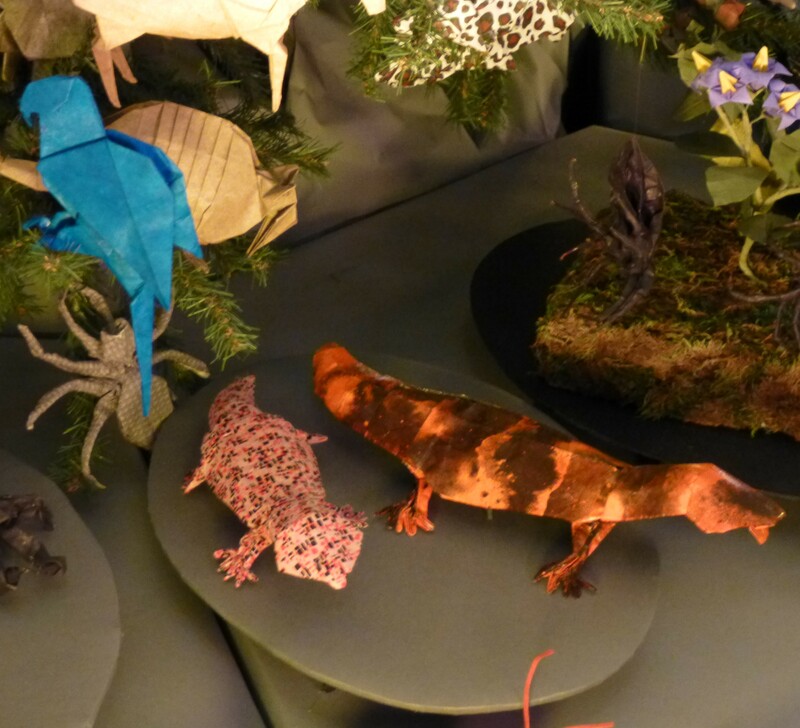 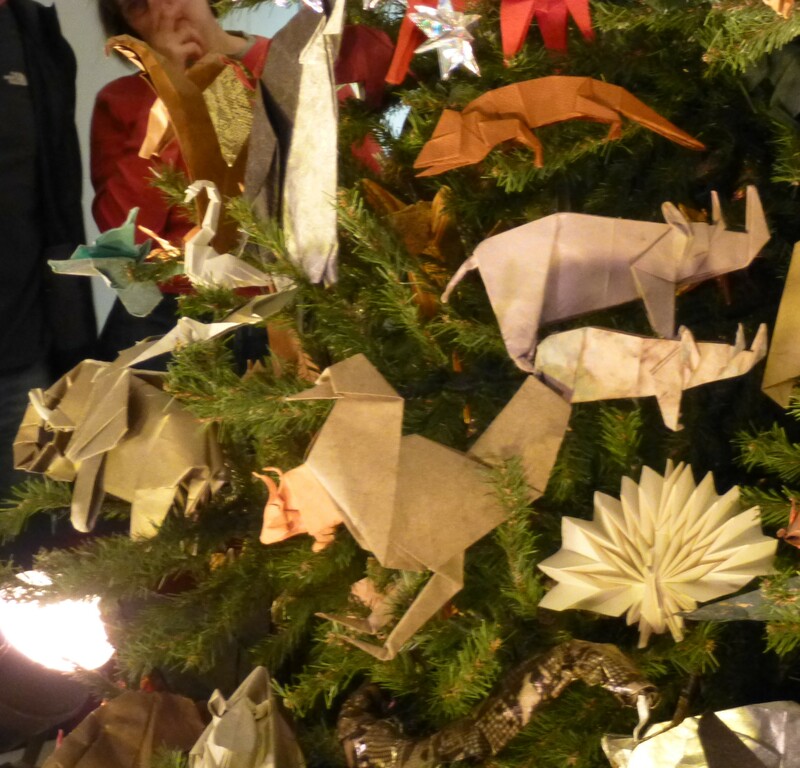 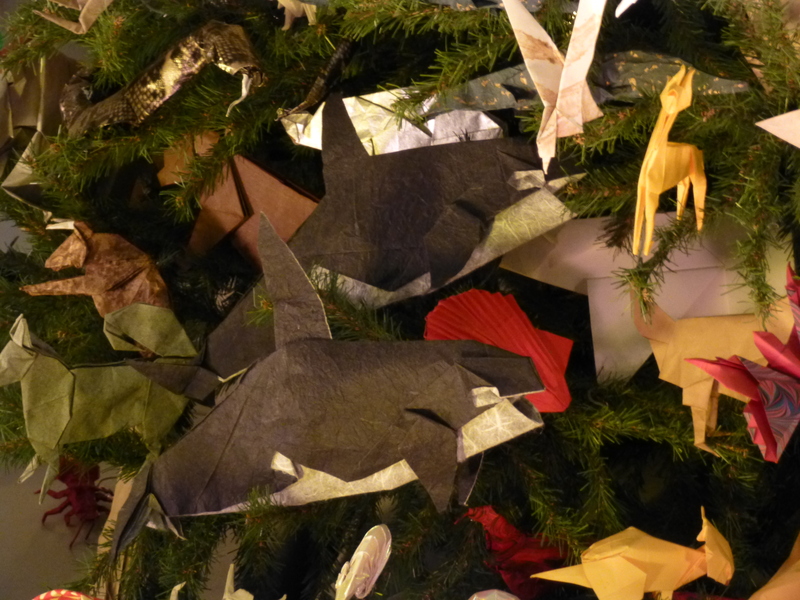 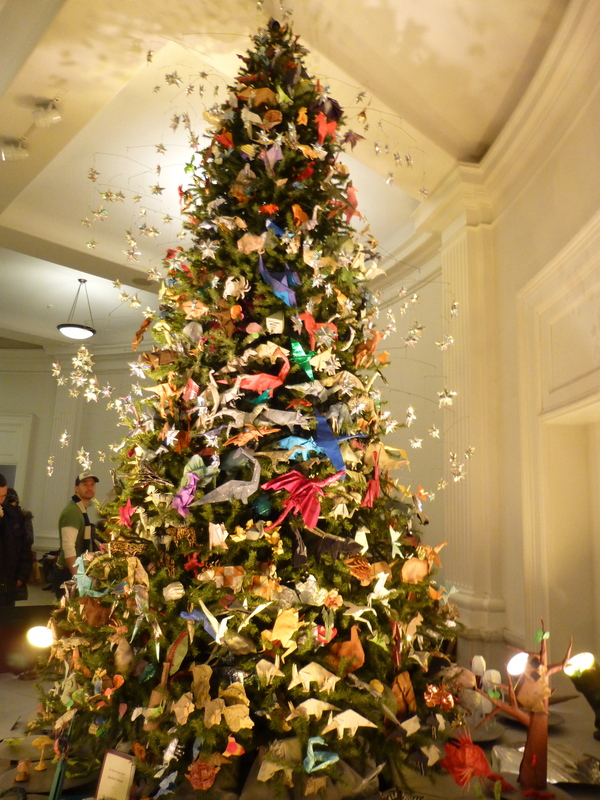 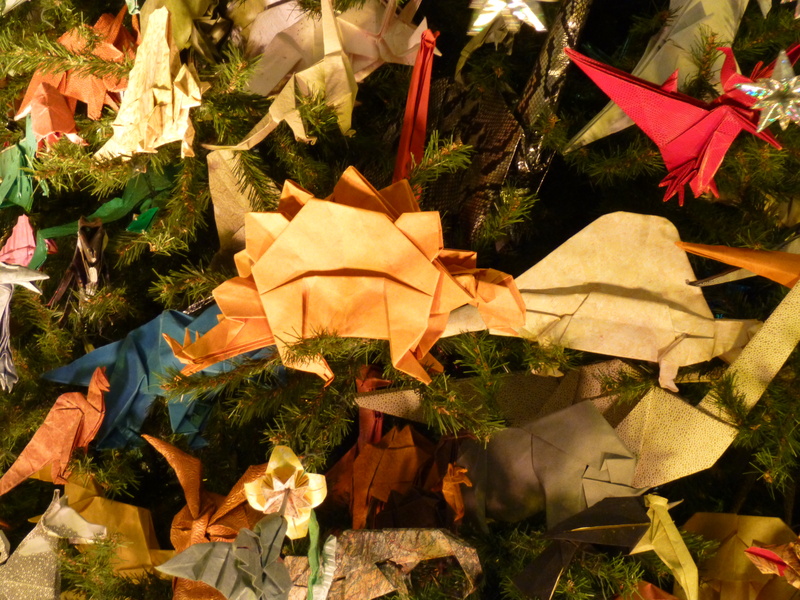 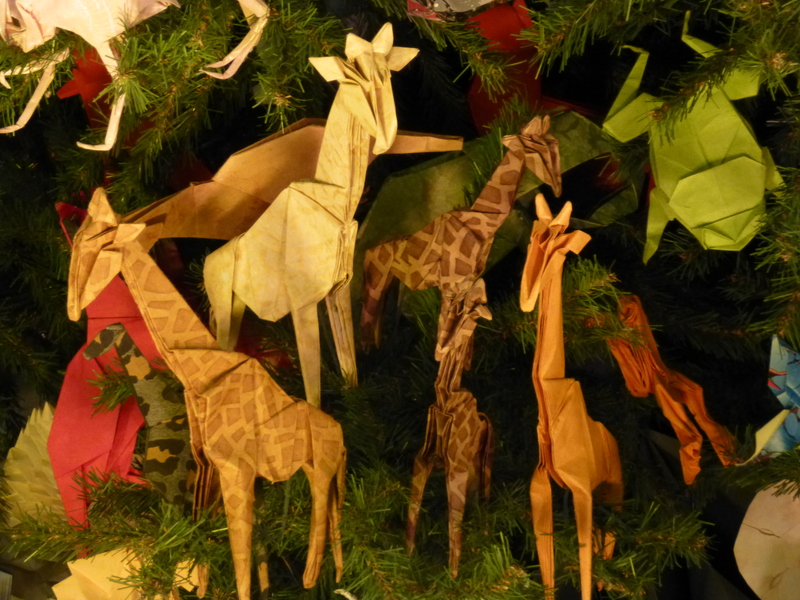 The American Museum of Natural History has its Holiday Tree on display, and what’s special about this tree is that it is decorated entirely with Origami Ornaments! 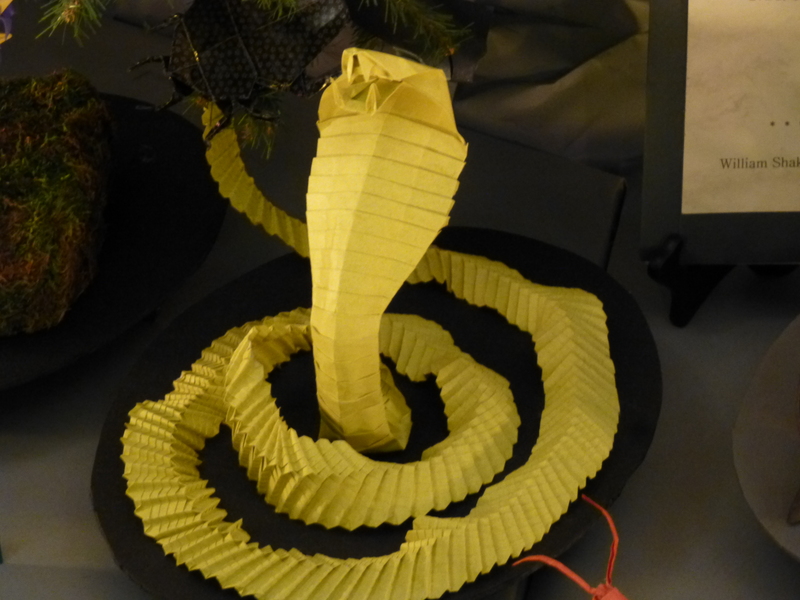 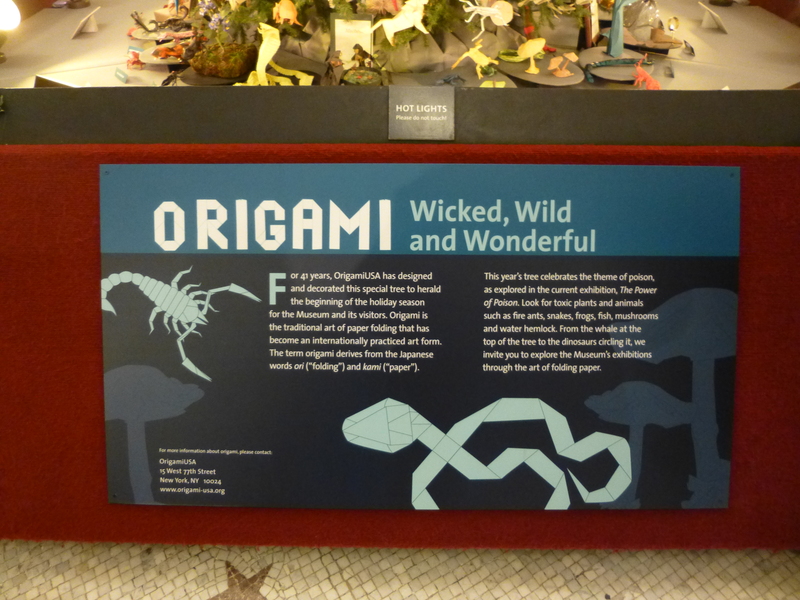 The theme of this year’s tree is Wicked, Wild and Wonderful, honoring the Museum’s new exhibition The Power of Poison. 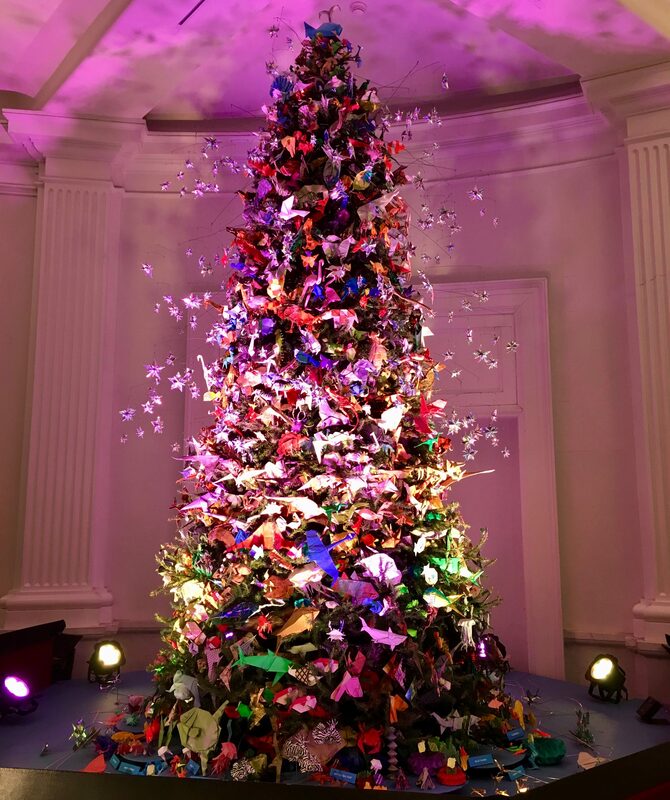 The ornaments were created especially for the tree by volunteers who began a Facebook likes campaign for it and started folding them in July to complete hundreds of creations that are displayed on the tree and around its base. 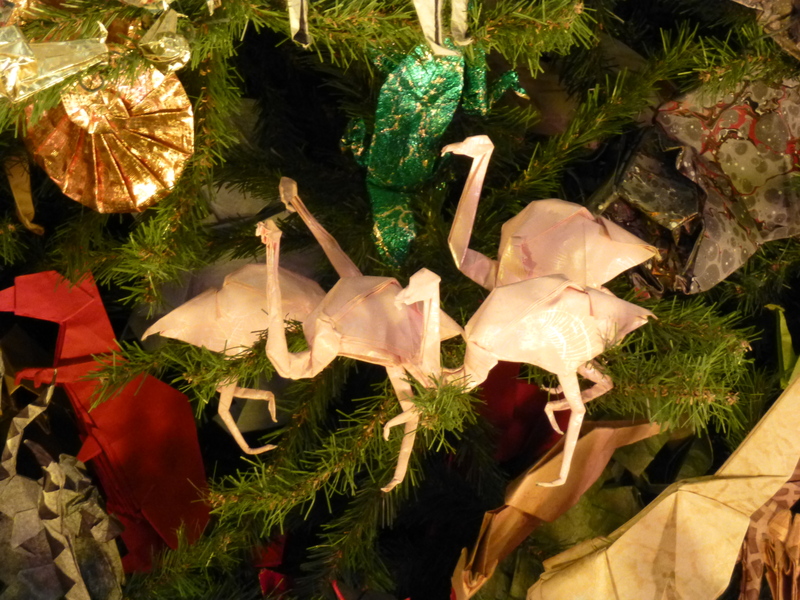 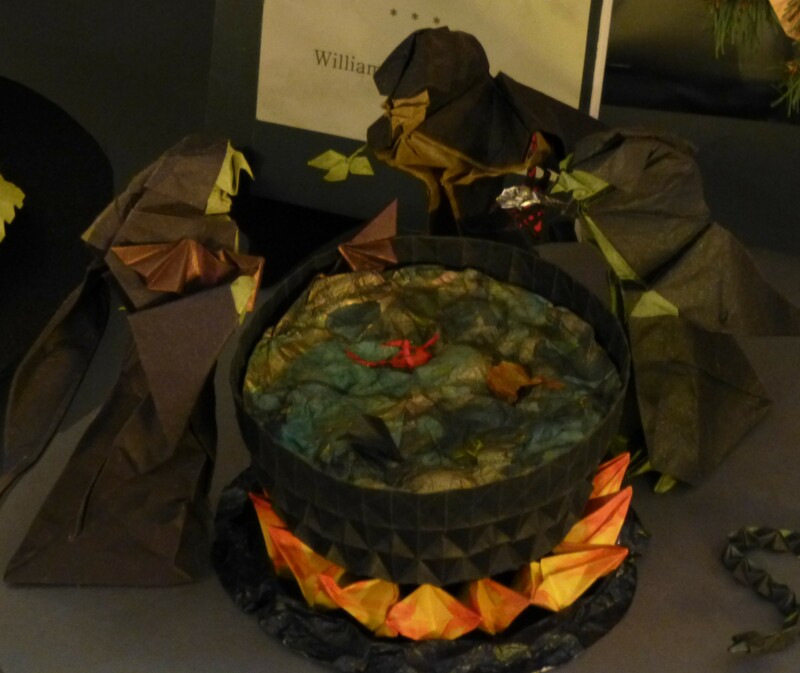 Here are some of our favorites from this years display! 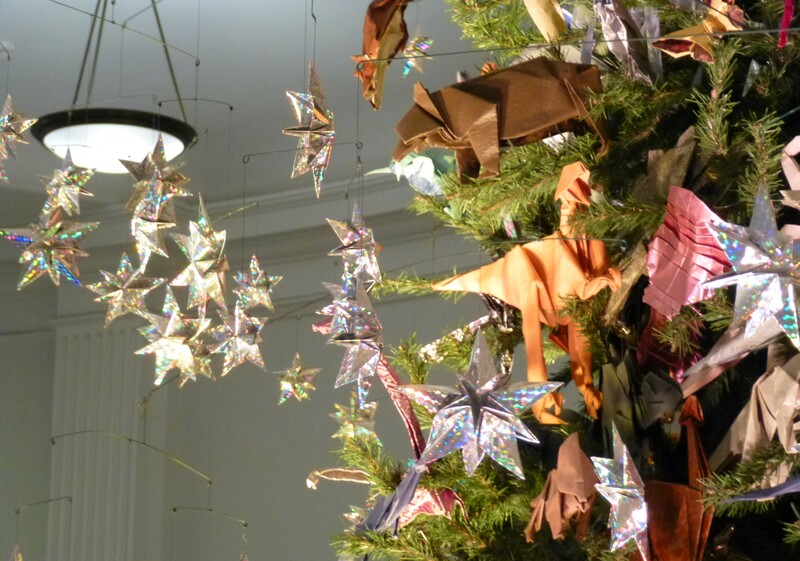 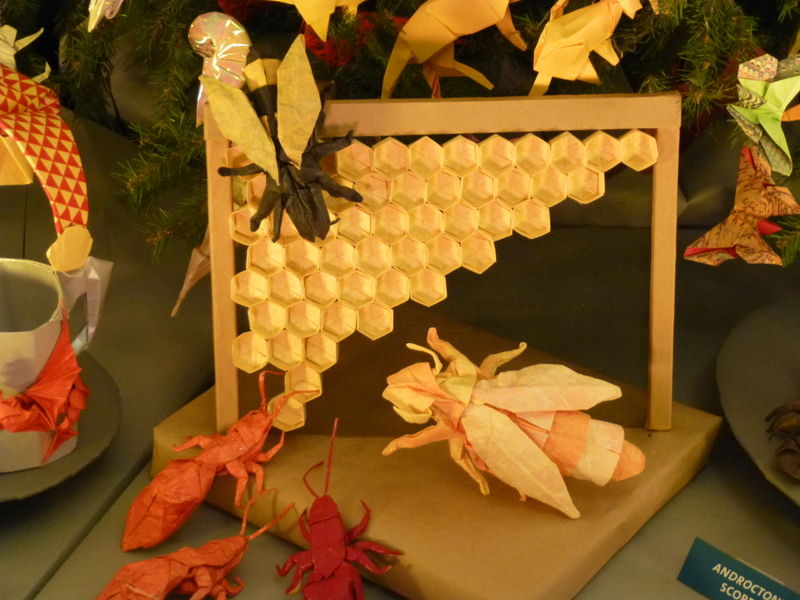 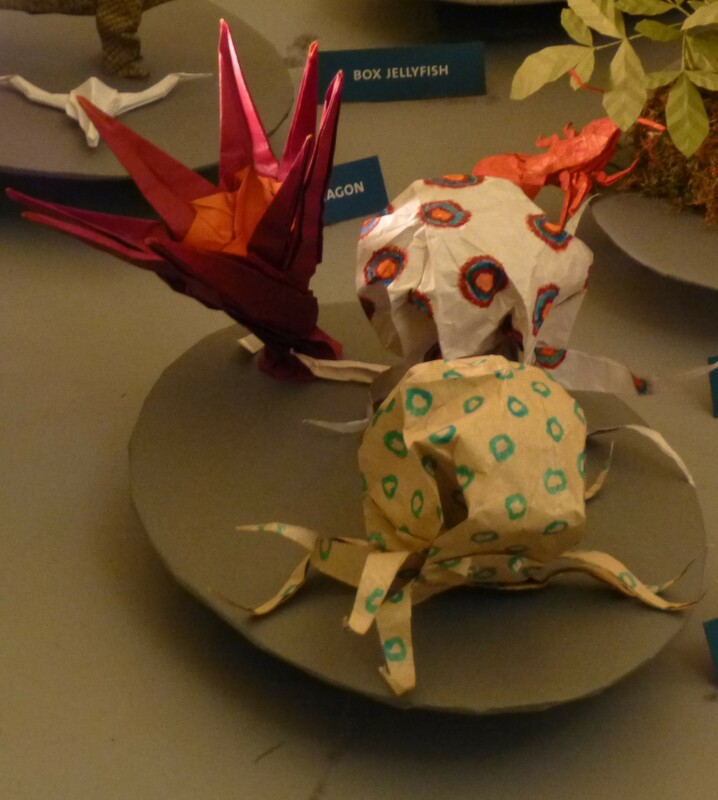 The Origami Holiday Tree will be on Display through January 12, 2014 at the AMNH, Located on Central Park West Between 77th Street and 81st Street (Take the C Train to 81st) in the Grand Gallery, Near the 77th Street exit on the Museum’s First Floor.